Canada’s 13 provincial and territorial premiers gather at an annual meeting called the Council of the Federation (CoF) aimed for discussing shared issues in their relations with the federal government. Health care is often a major issue on the agenda. Every year during CoF, the CFNU hosts a premiers’ policy meeting where we bring in world-leading experts to present the best evidence to premiers on a timely topic of concern for nurses and the health care sector. These briefings provide an opportunity for the leadership of provincial nurses’ unions to bring the voices of front line nurses to their provincial and territorial premiers. Examples of previous topics of discussion include the effects of health care cutbacks, the need for a pharmacare program, and improving access to mental health services. 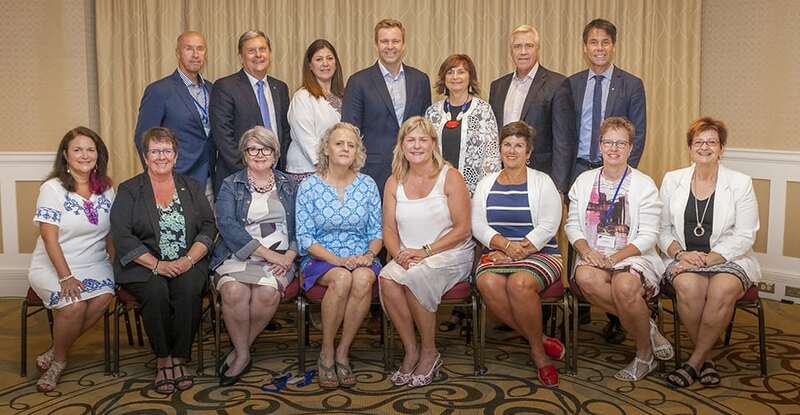 At the most recent CoF in St. Andrews, New Brunswick, Canada’s provincial and territorial premiers joined nurses’ union leaders from across the country on the morning of July 20 for a national pharmacare roundtable. Host Premier, the Hon. Brian Gallant, welcomed his counterparts to the event, which featured Dr. Eric Hoskins, Chair of the Advisory Council on the Implementation of National Pharmacare. Organized by the CFNU, the roundtable provided leaders of Canada’s provinces and key health and labour stakeholders with the opportunity to discuss health-related federal and fiscal issues related to the implementation of a national pharmacare plan. The event also featured Kevin Page, former Parliamentary Budget Officer, and John Oliver, Member of Parliament (Oakville) and member of the parliamentary health committee. CFNU President Linda Silas argued that premiers of all political stripes had strong reasons to support national pharmacare. Silas called on the federal government to ensure that a national pharmacare plan includes appropriate federal transfers and to ensure massive system savings are redistributed fairly. In their final communique from the Council of the Federation summit, premiers indicated that they continue to be willing to work with the federal government to hammer out a national pharmacare plan, emphasizing the need for adequate and sustained federal funding.